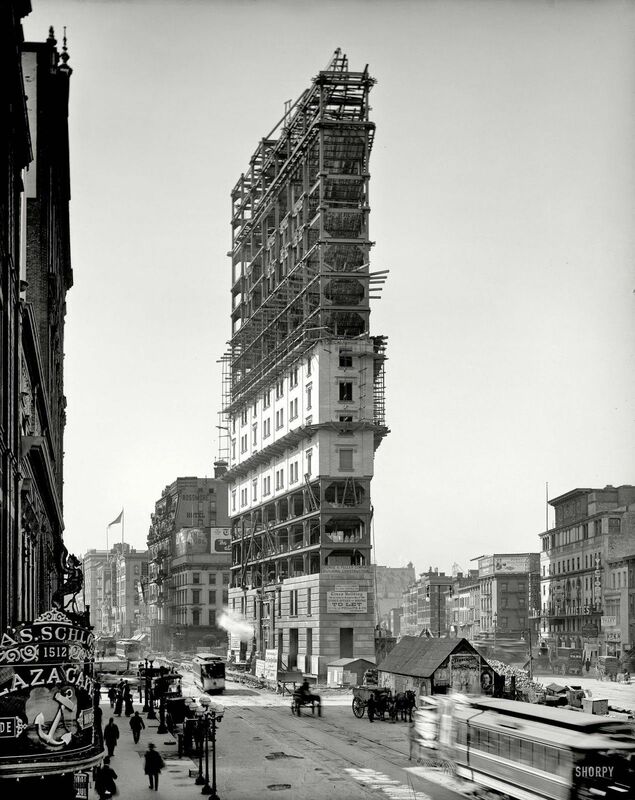 historicaltimes: One Times Square under construction in 1903, New York City. 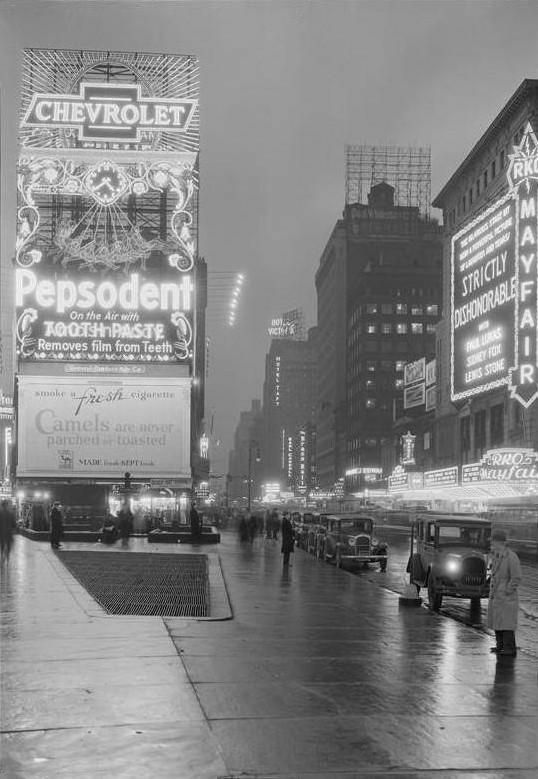 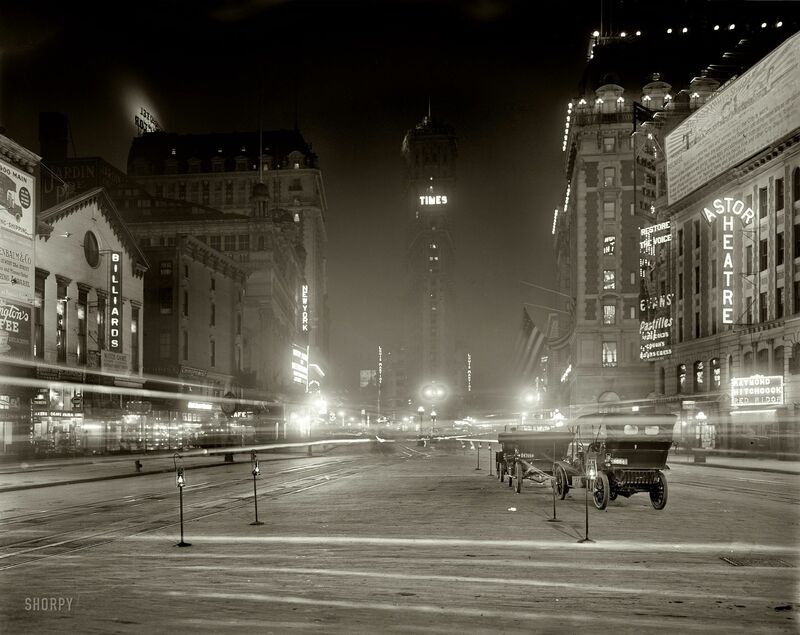 New York circa 1908 - "Times Square." 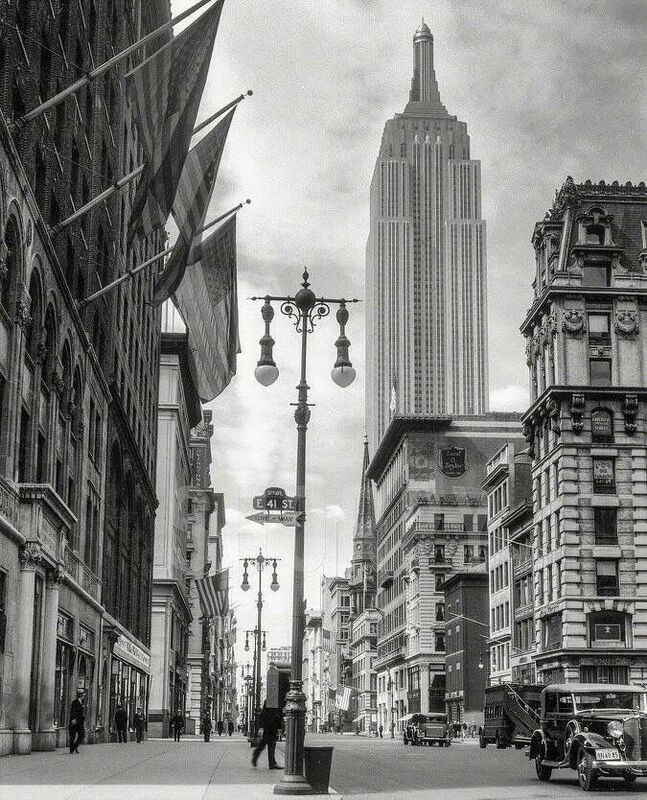 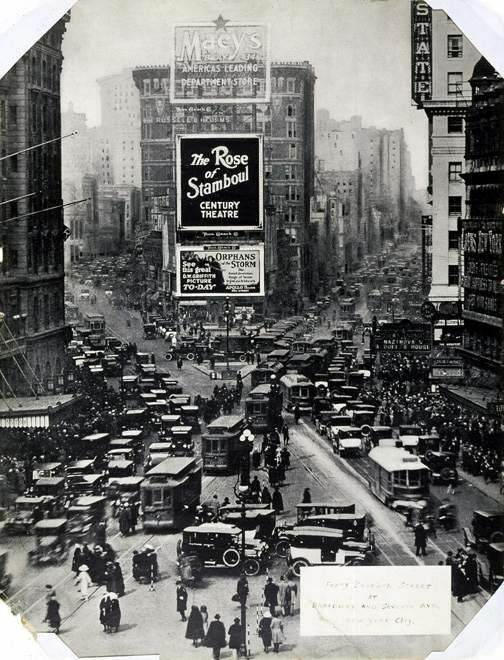 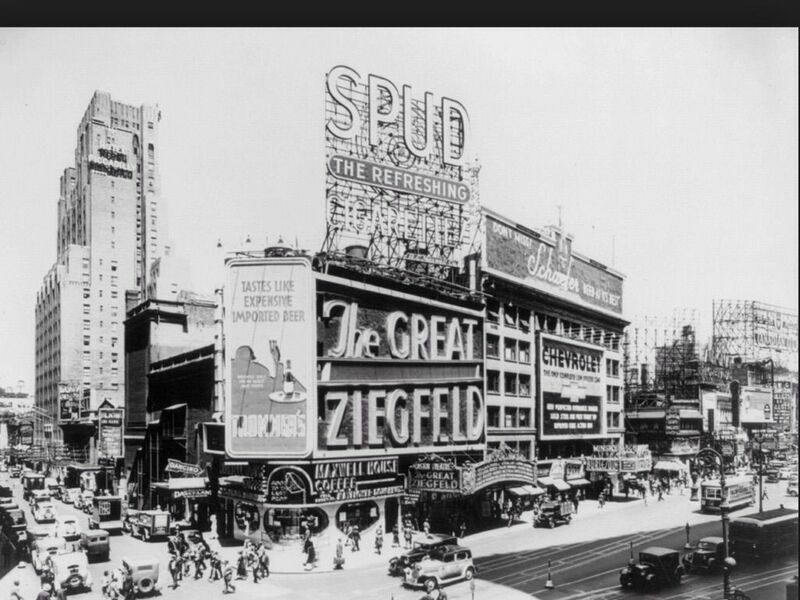 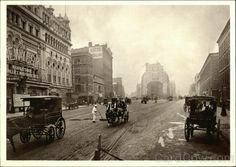 The old New York Times building, now encased in billboards, Hotel Astor and various theaters seen from Broadway. 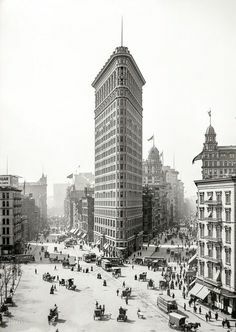 New York circa 1905. 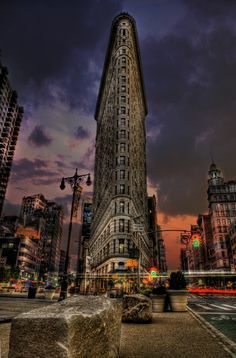 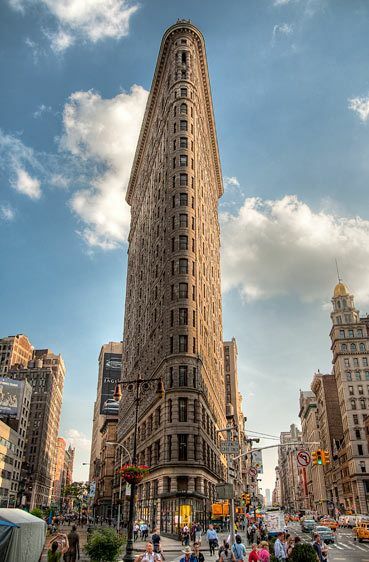 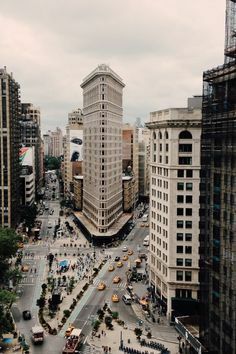 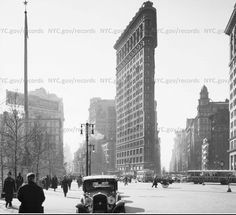 "The Flatiron building." 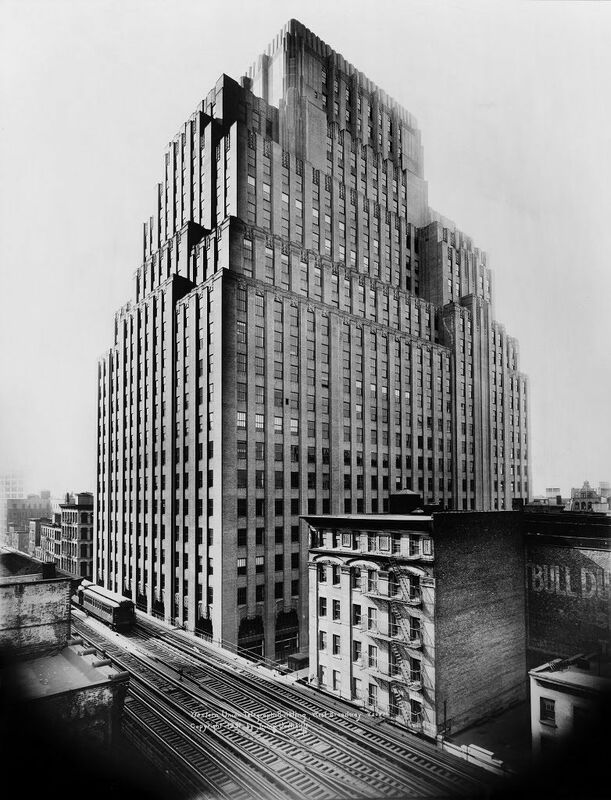 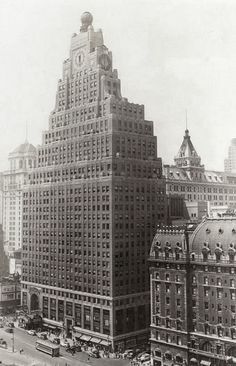 The iconic proto-skyscraper early in its life. 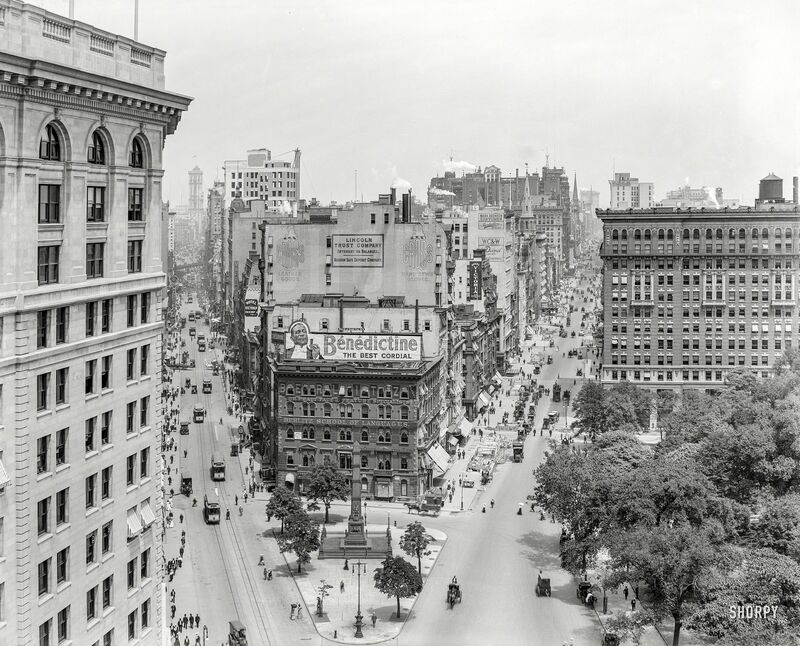 Detroit Publishing Company glass negative. 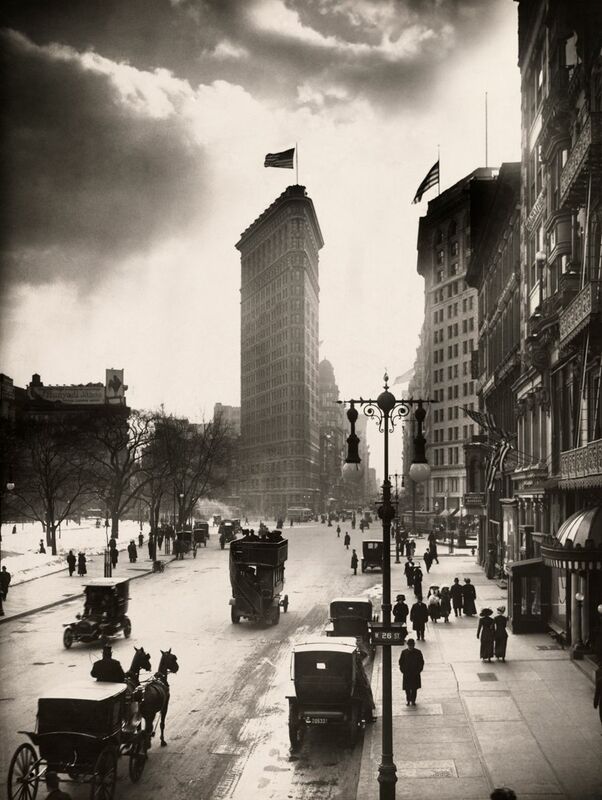 Locals walk the streets of Madison Square near the Flatiron Building in New York City, 1918. 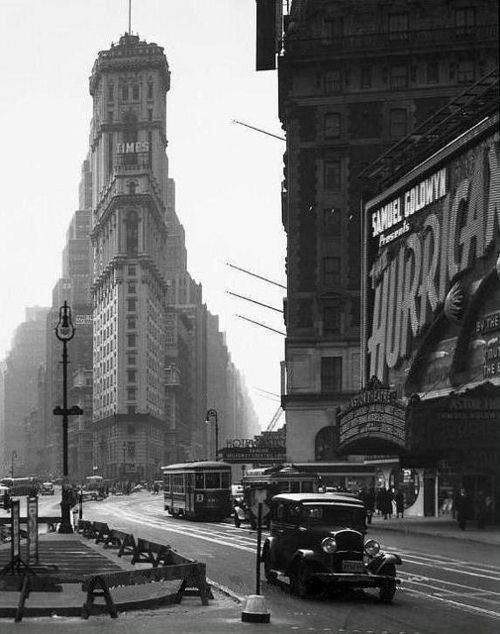 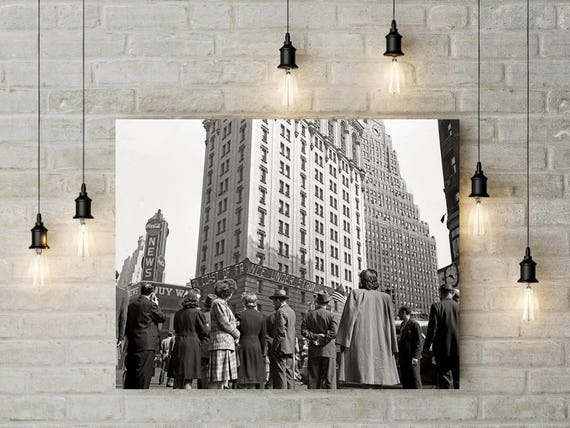 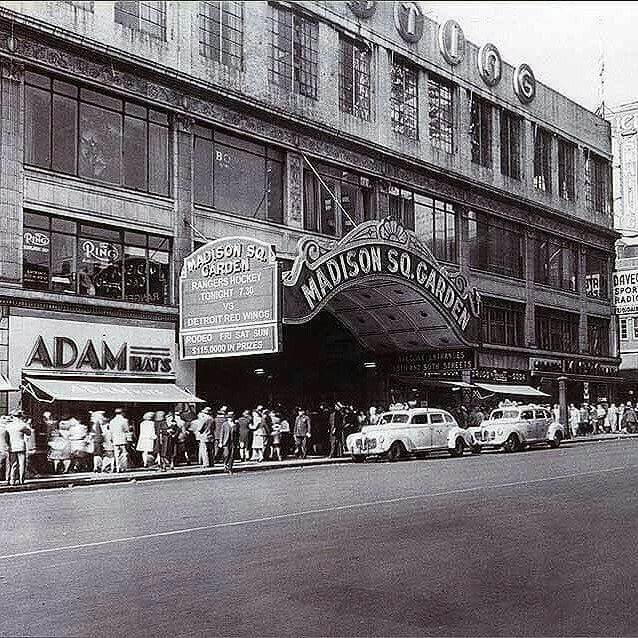 Paramount Building 1930s, one of the few still standing in Times Square. 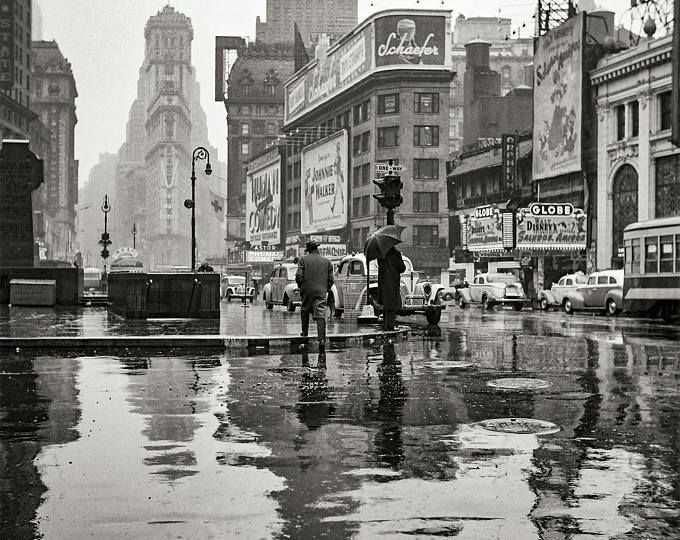 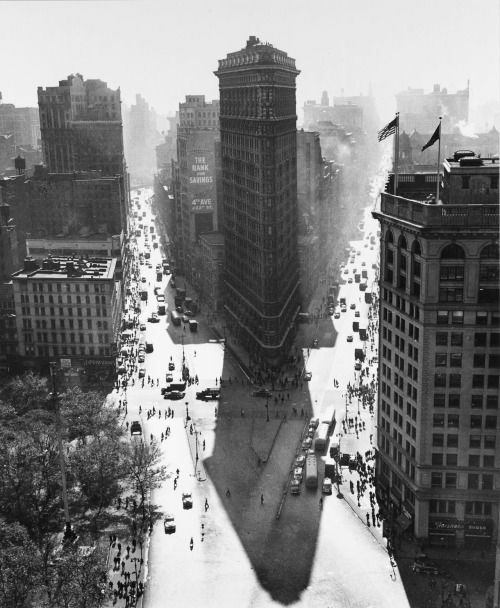 Rudy Burckhardt - Flat Iron in Summer, New York City, 1948. 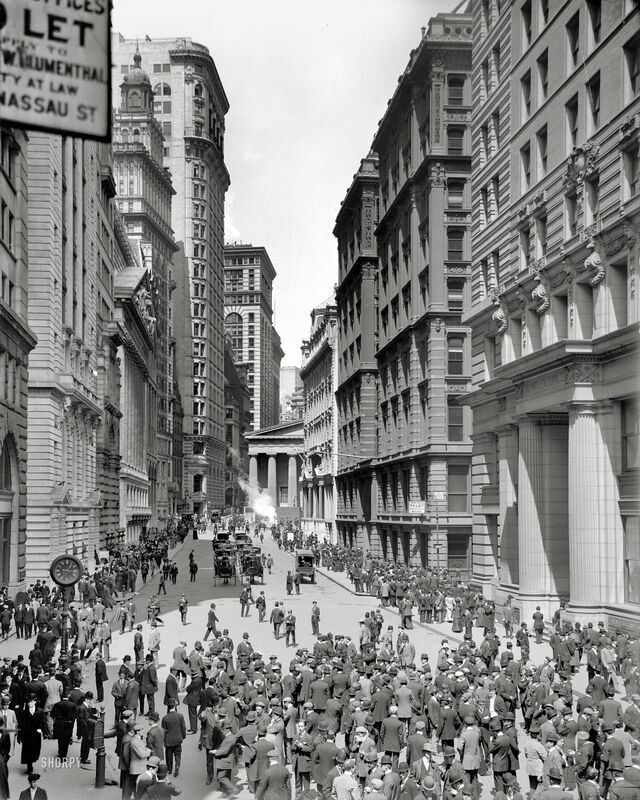 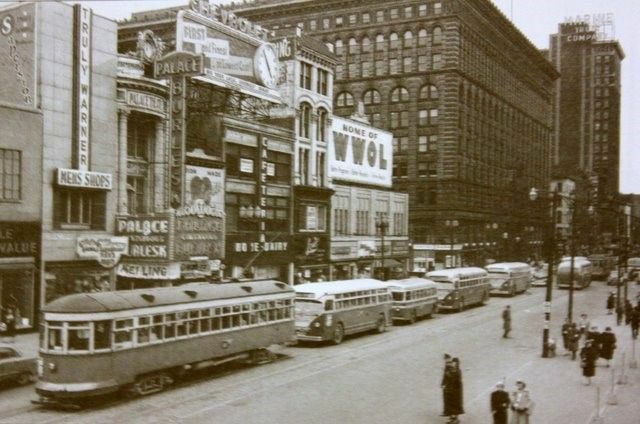 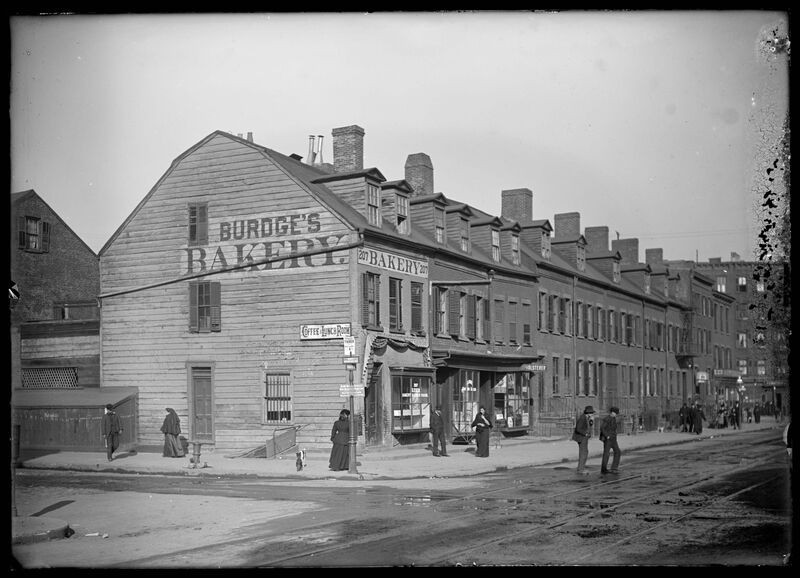 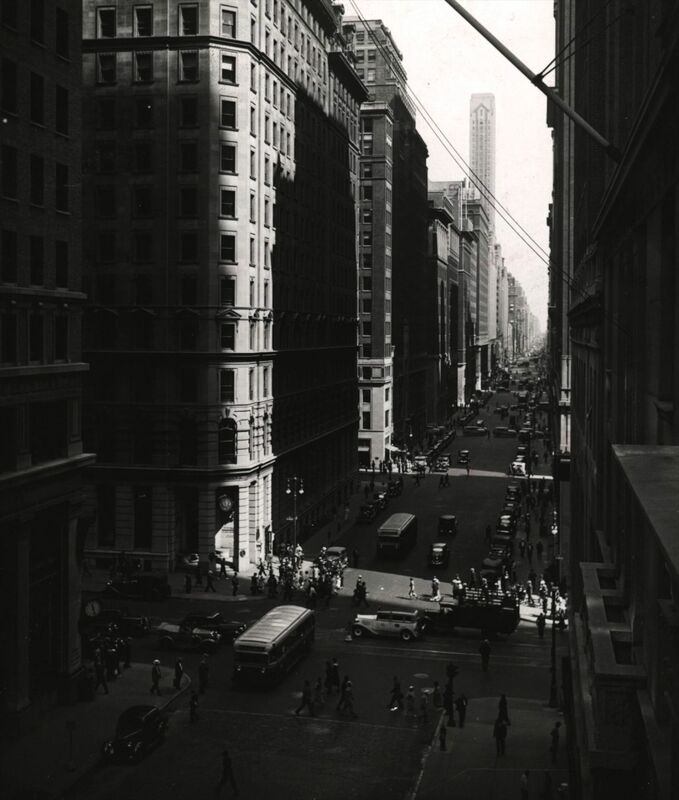 "Broad Street and curb market, New York." 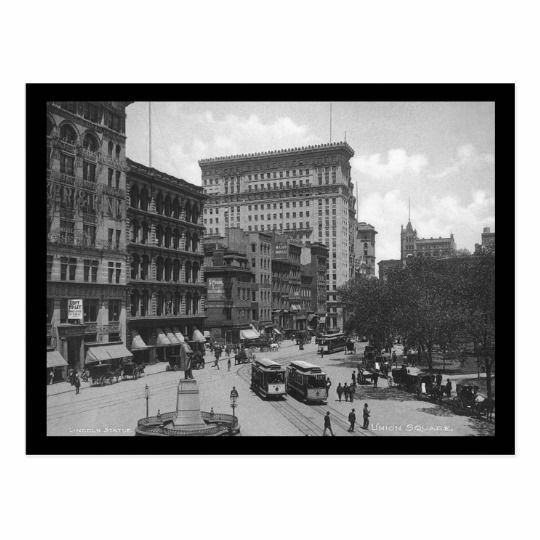 8x10 inch dry plate glass negative, Detroit Publishing Company. 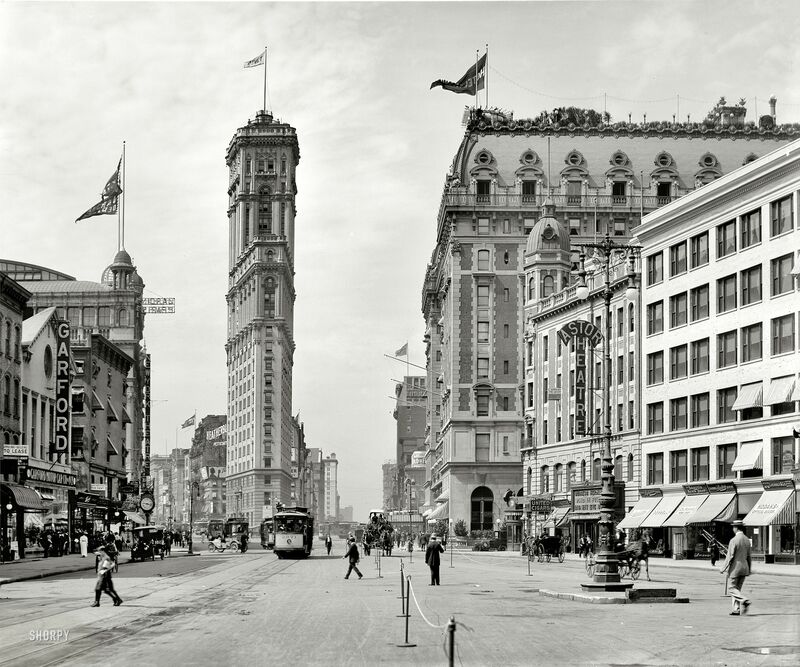 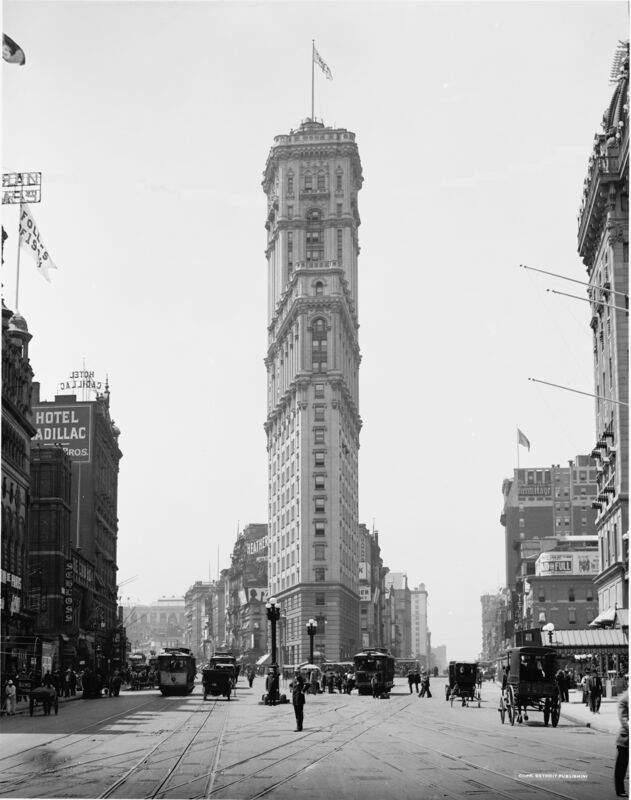 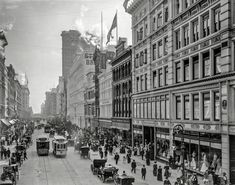 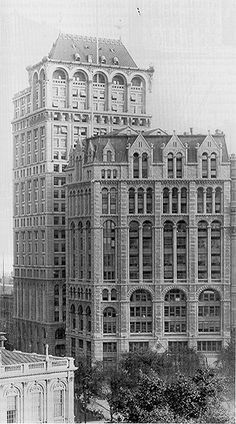 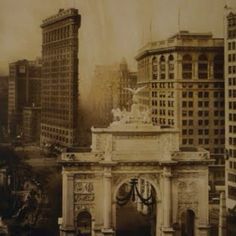 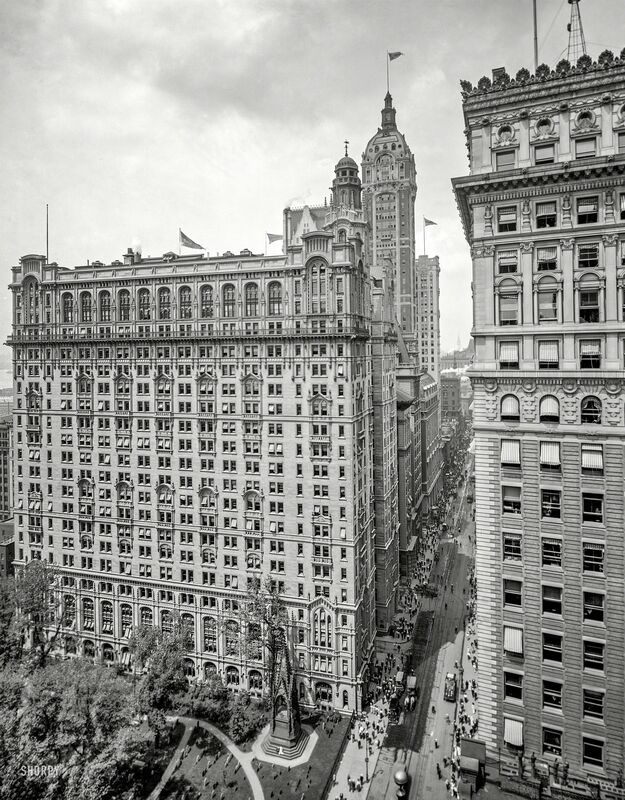 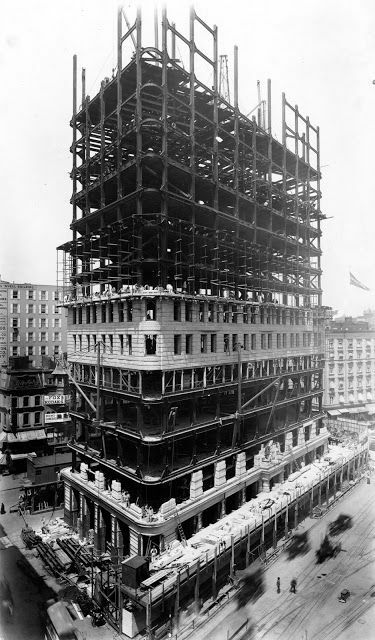 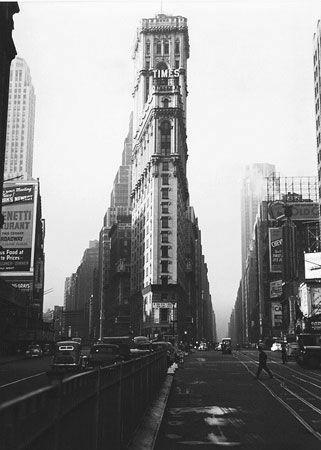 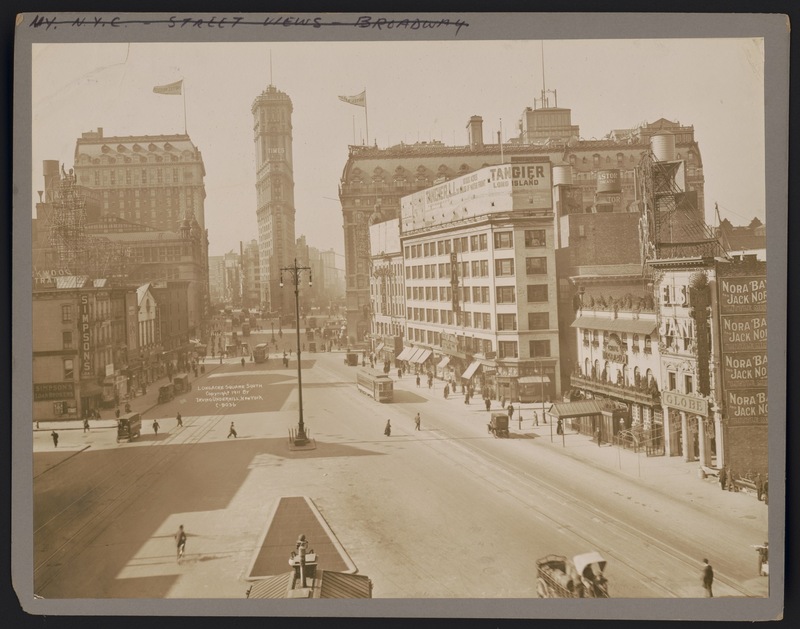 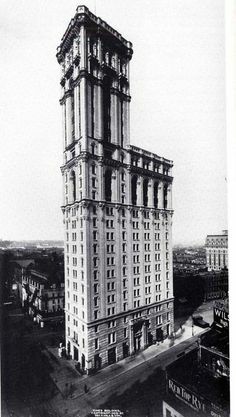 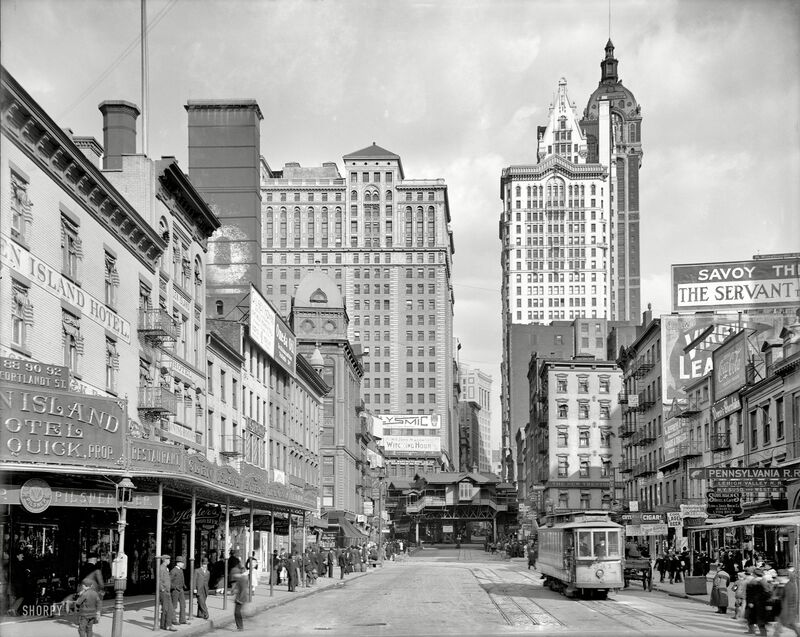 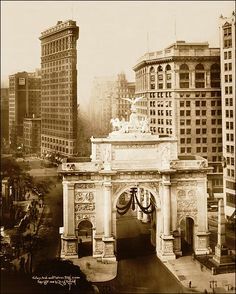 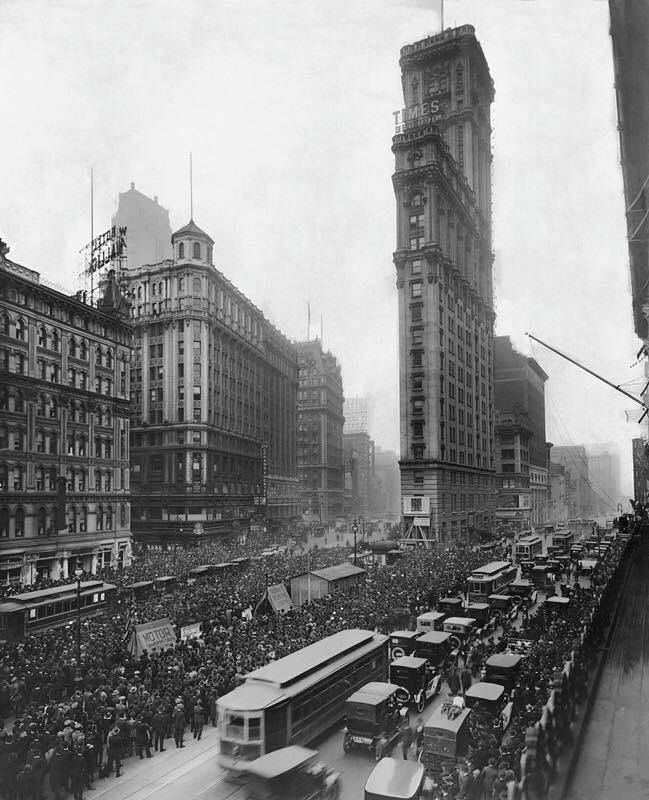 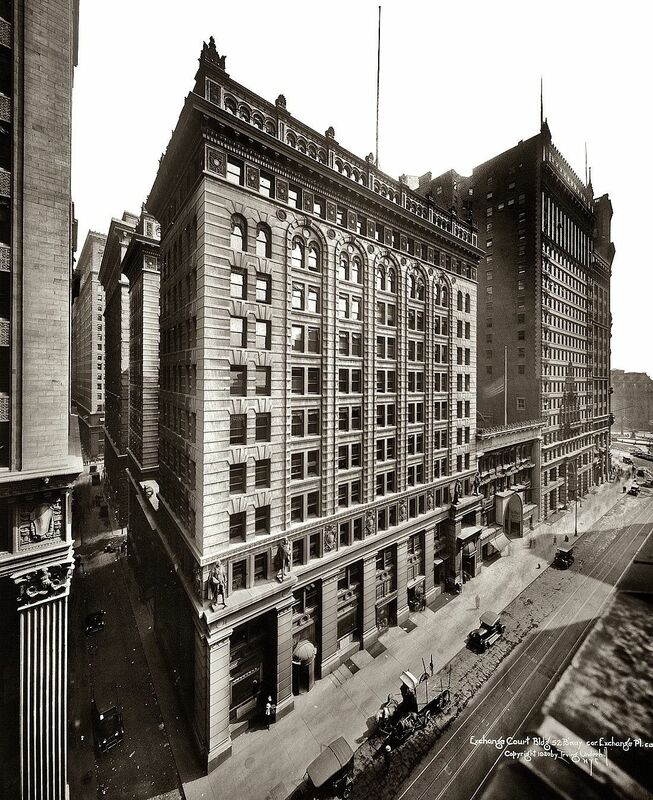 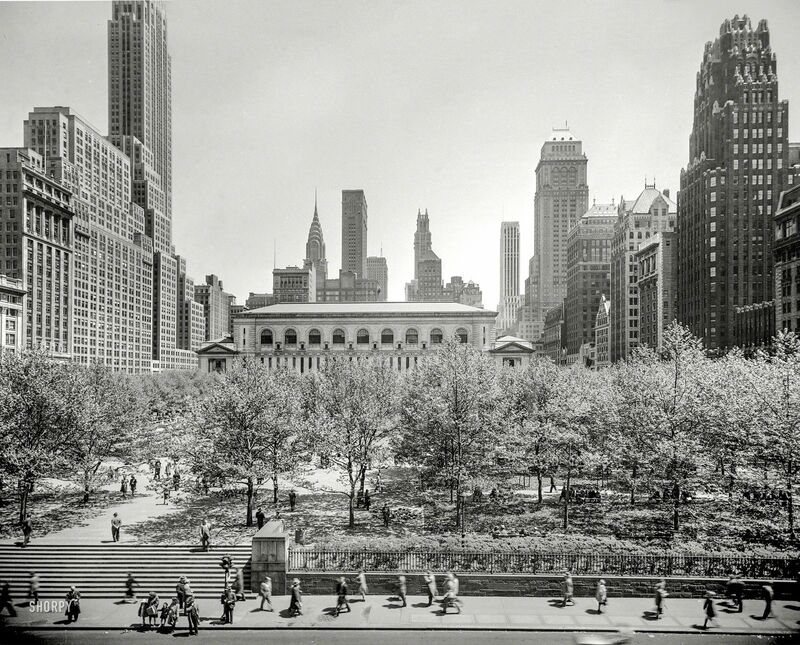 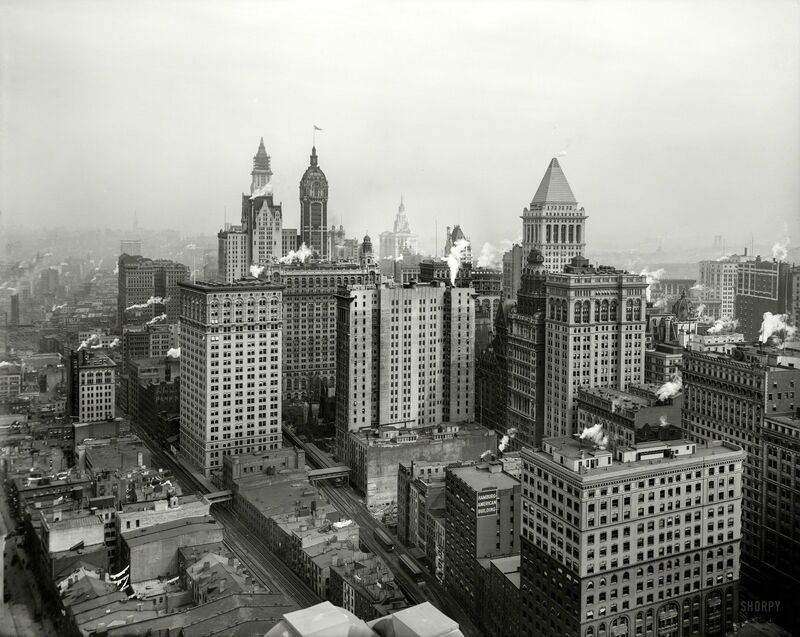 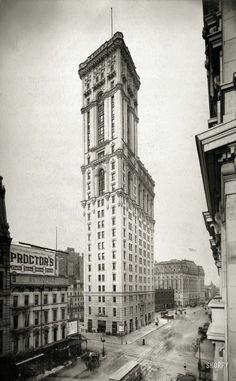 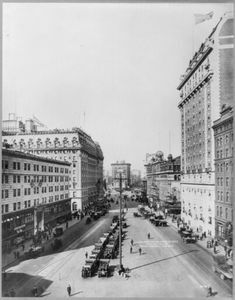 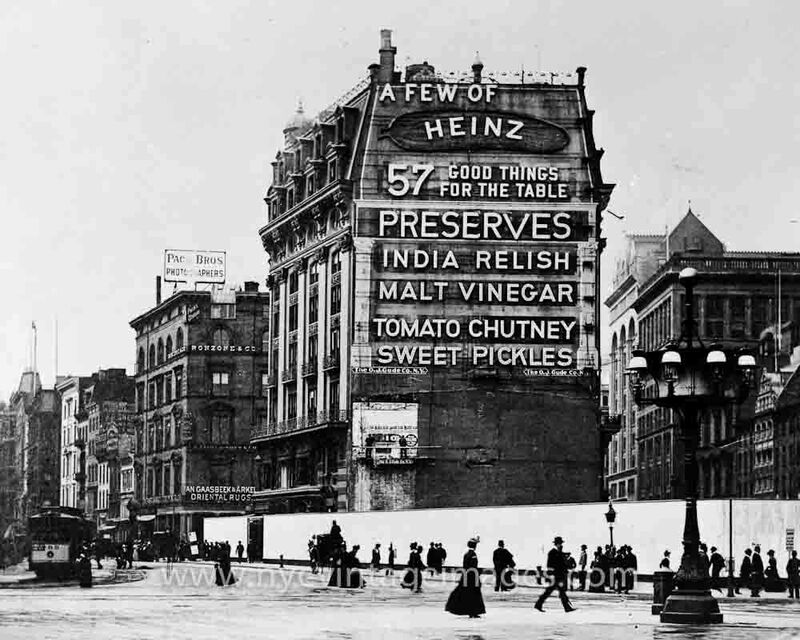 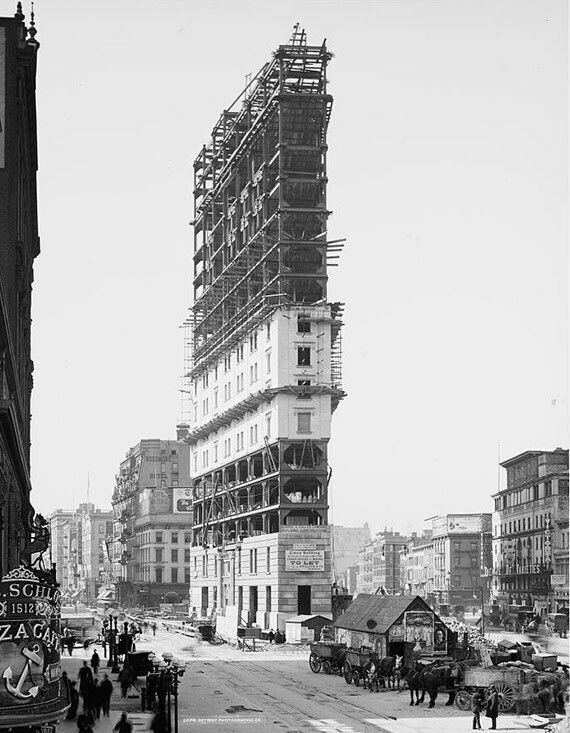 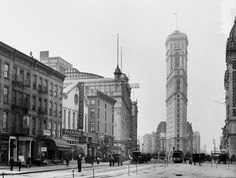 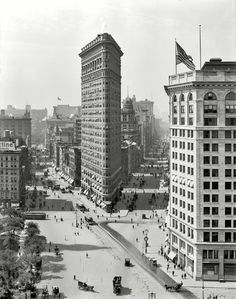 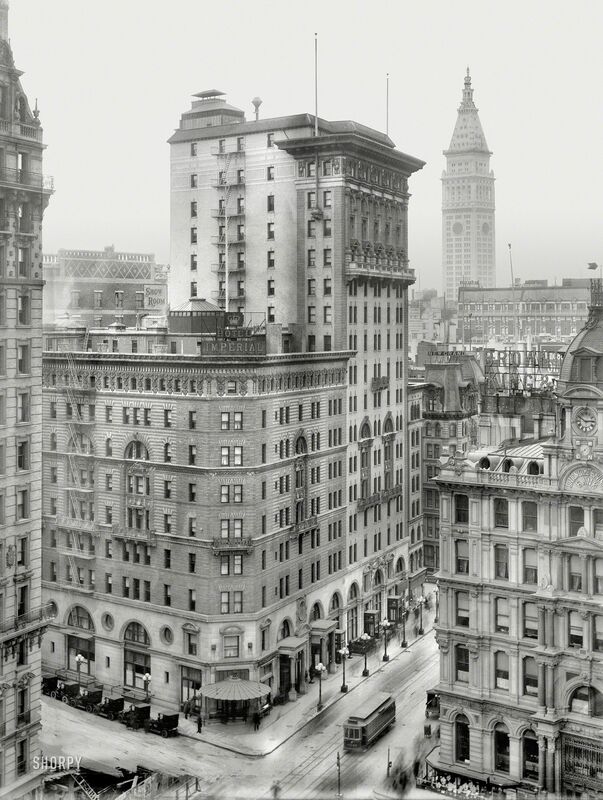 Shorpy Historical Photo Archive :: New York Skyscrapers: 1908 "Broadway and Trinity Building." 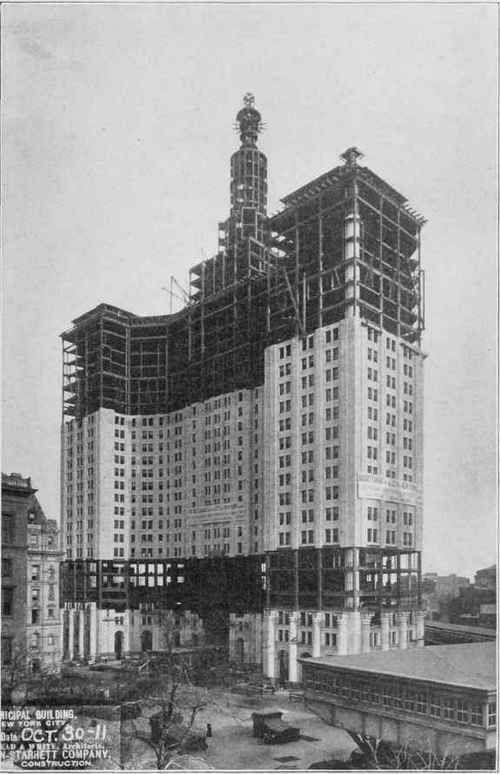 With the Singer tower bringing up the rear. 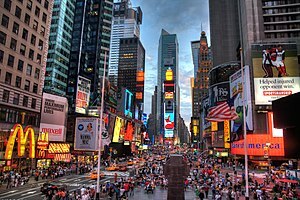 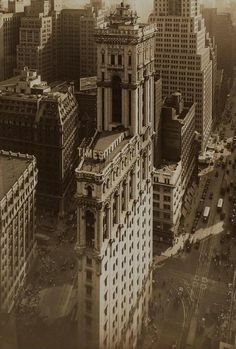 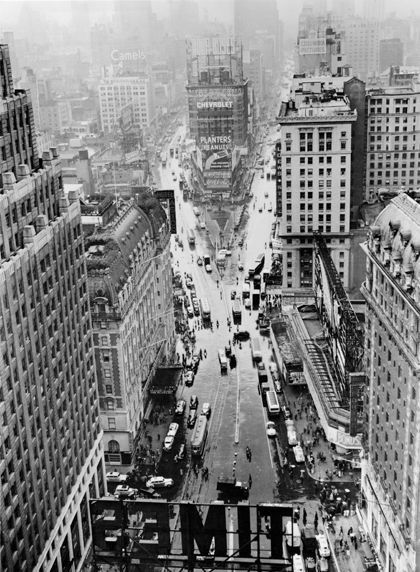 Aerial view of Times Square, The New York Times Building, Circa Photo from the New York Times. 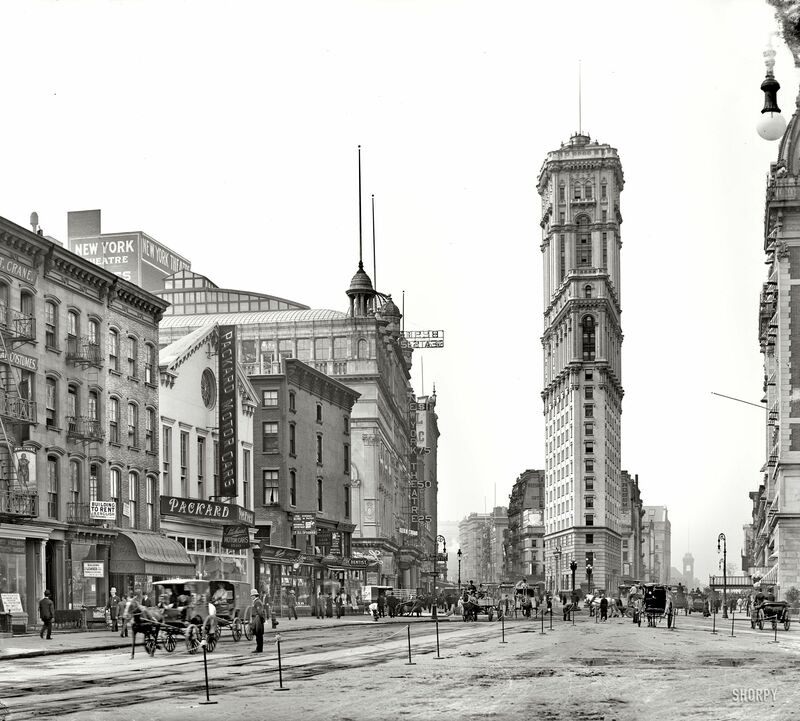 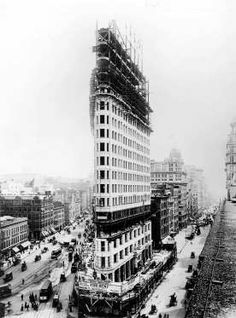 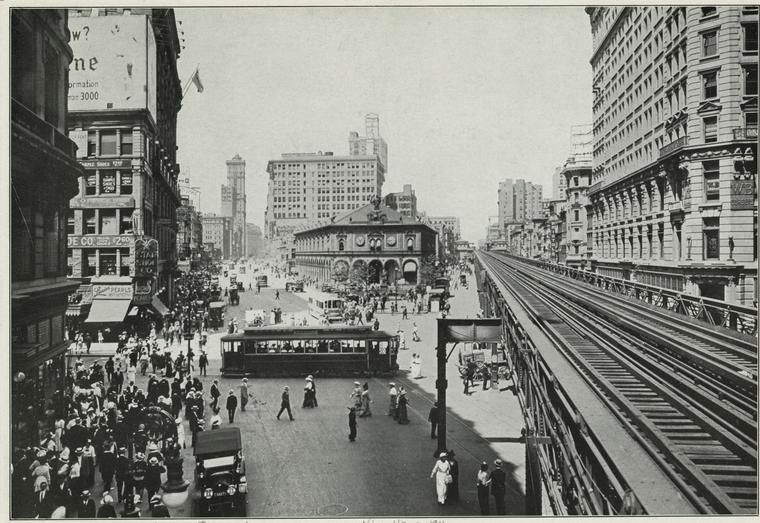 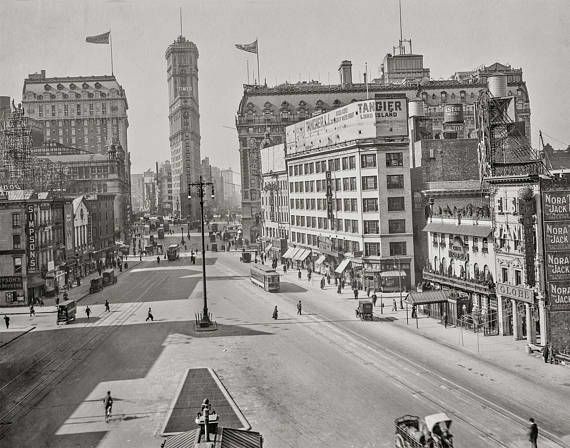 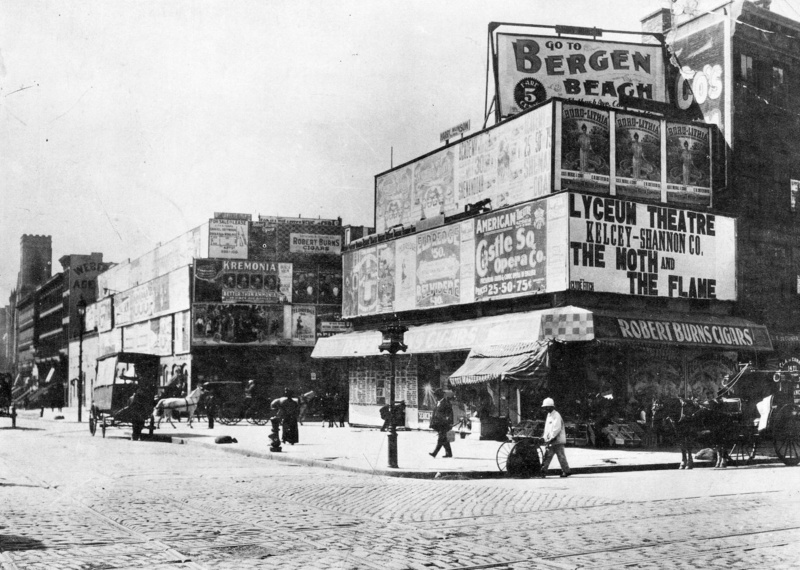 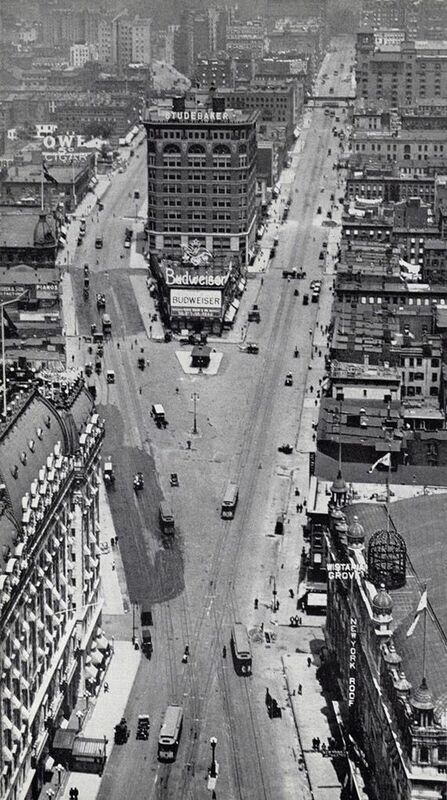 Times Square, before the old New York Times building was completed in 1904. 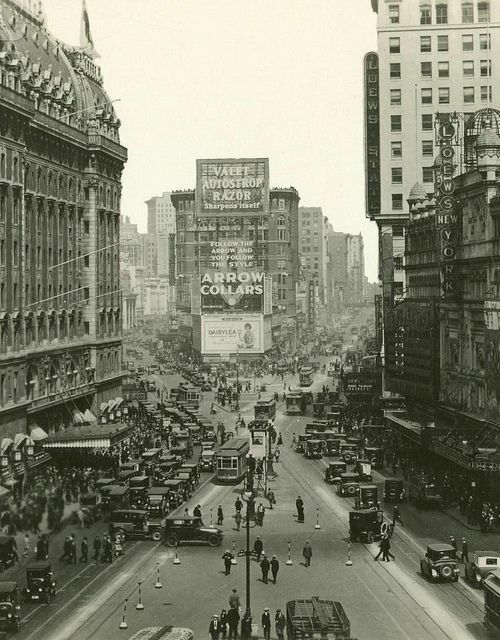 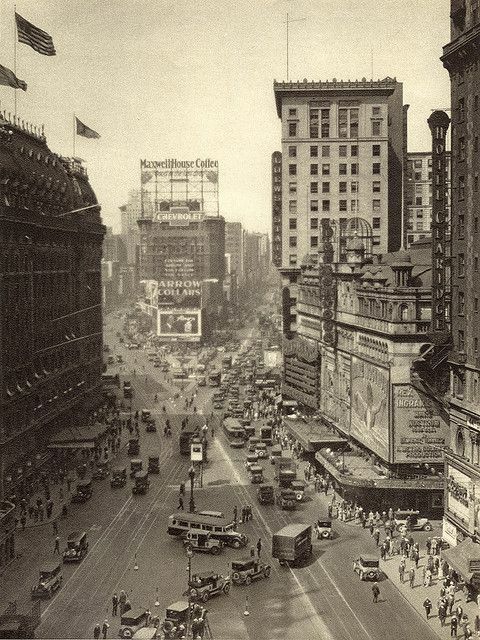 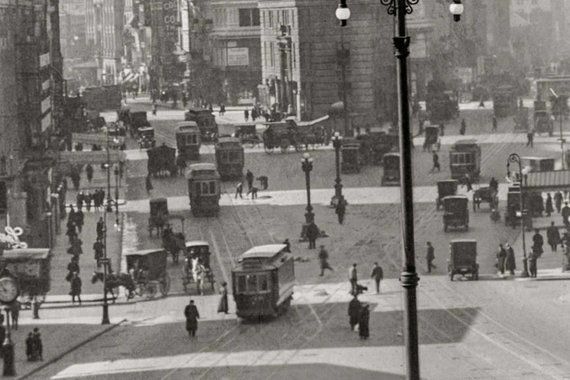 Old New York — magictransistor: City of New York, c. 1920. 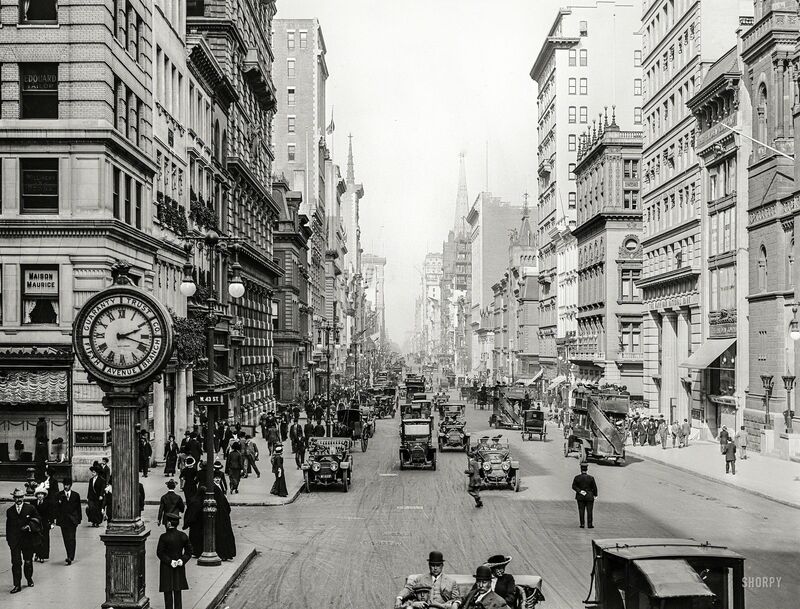 New York circa 1906. 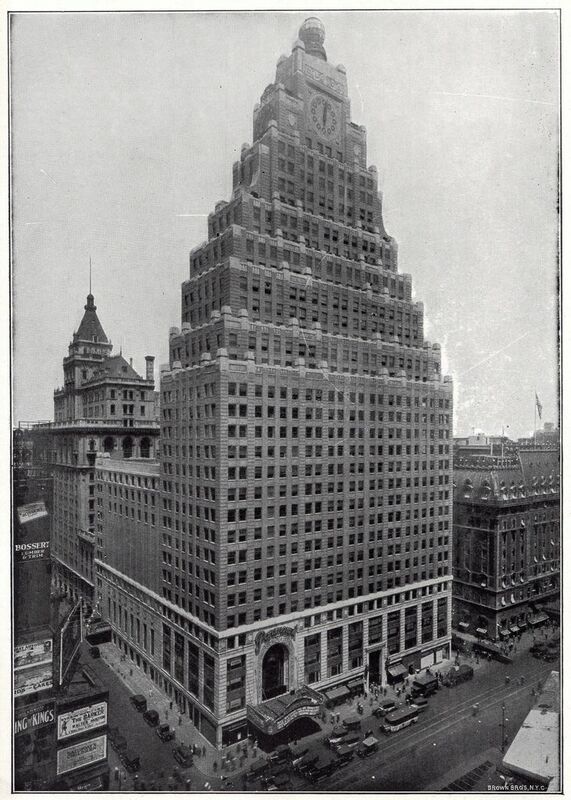 "Gorham Co. building, Fifth Avenue and 36th Street." 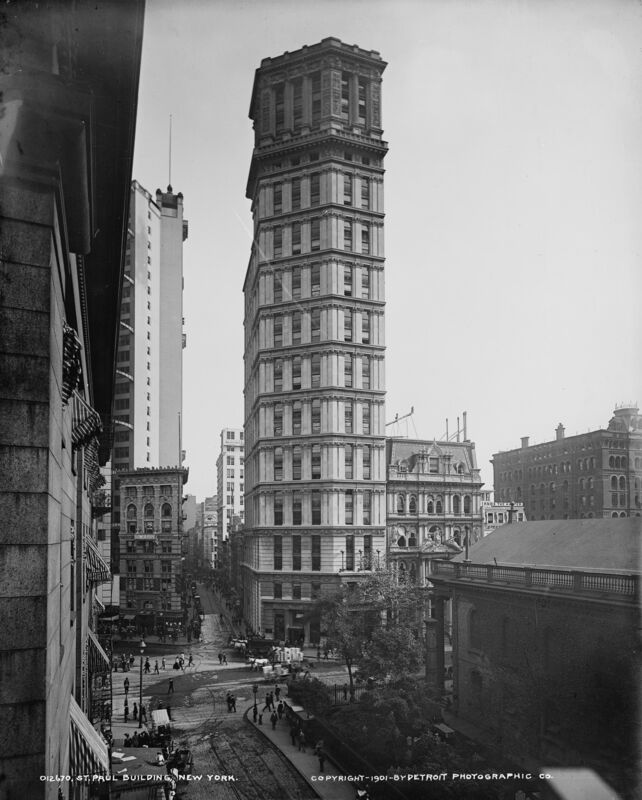 New headquarters, designed by Stanford White, of the noted silver-making concern. 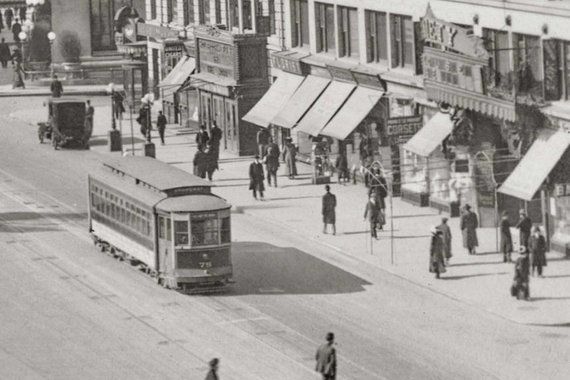 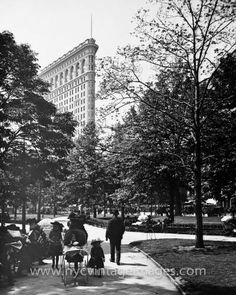 Featured players in this picture include the McCreery dry goods store, Lilliputian Bazaar and our old friend the Flatiron Building. 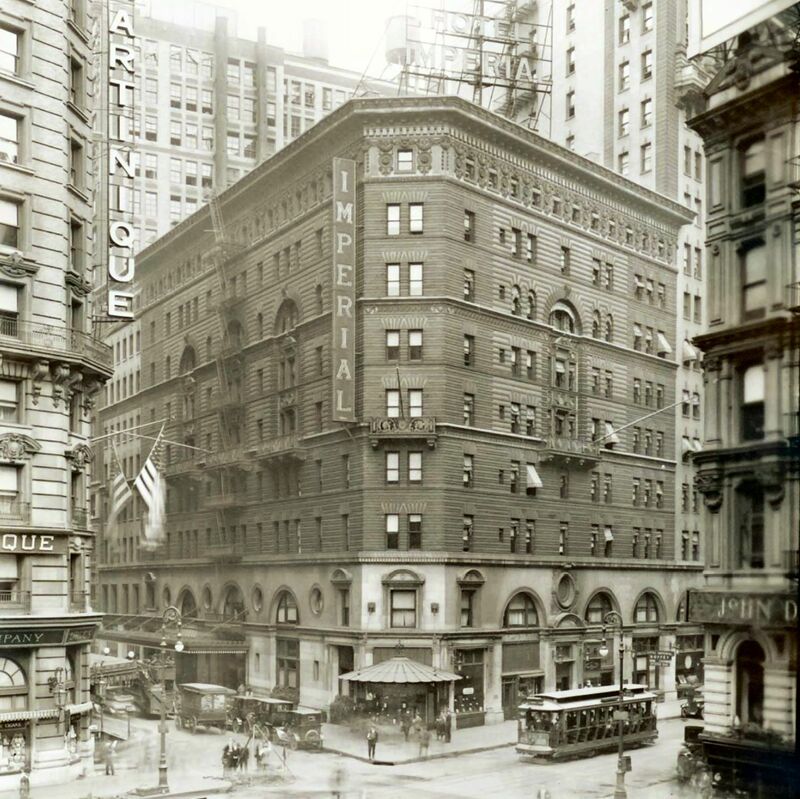 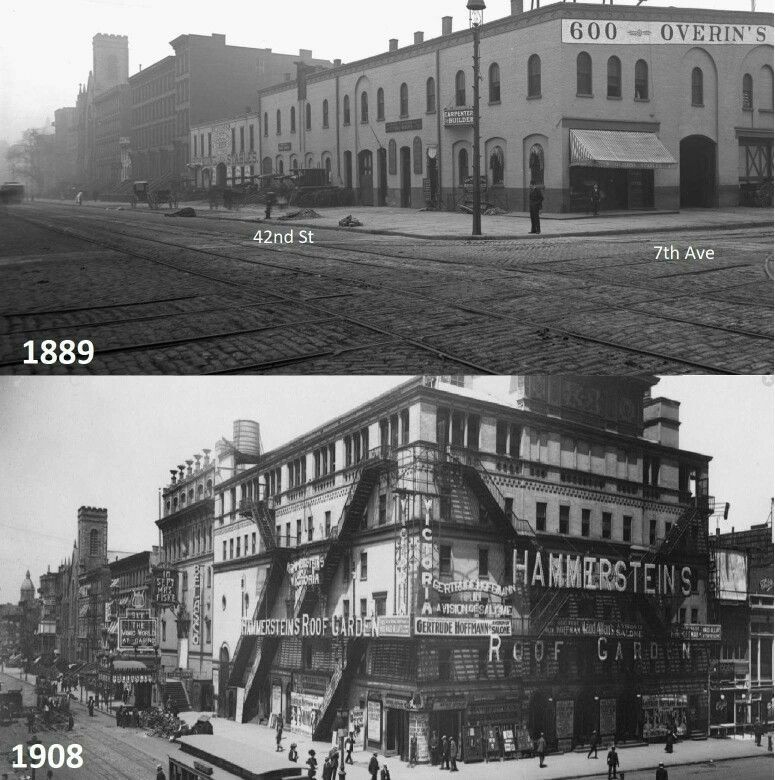 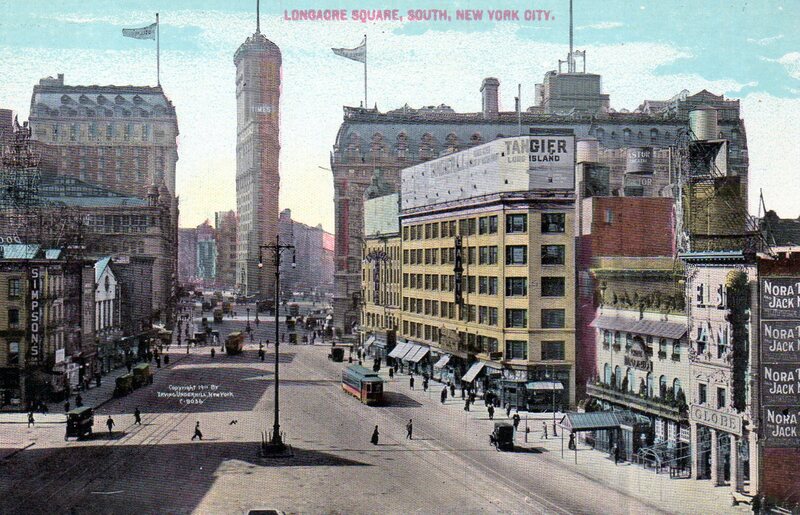 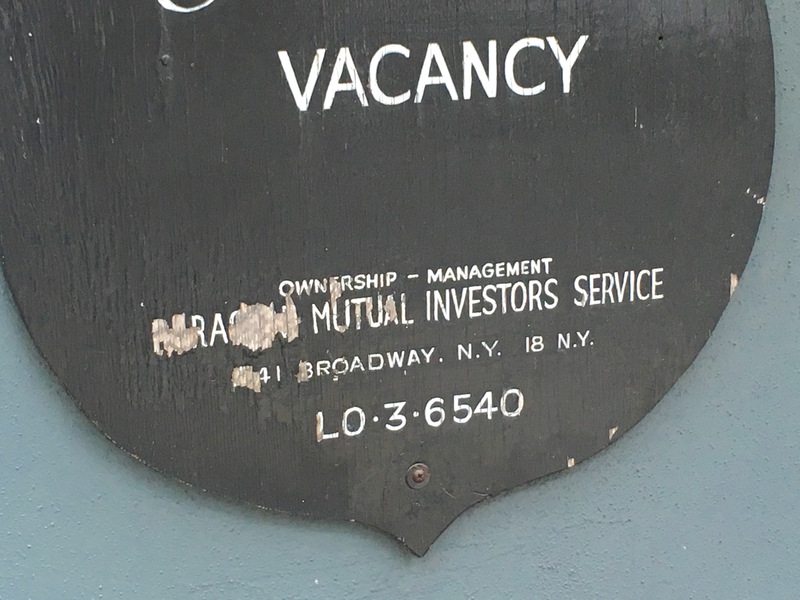 LO for Longacre, a reminder that Times Square was Longacre Square until 1904. 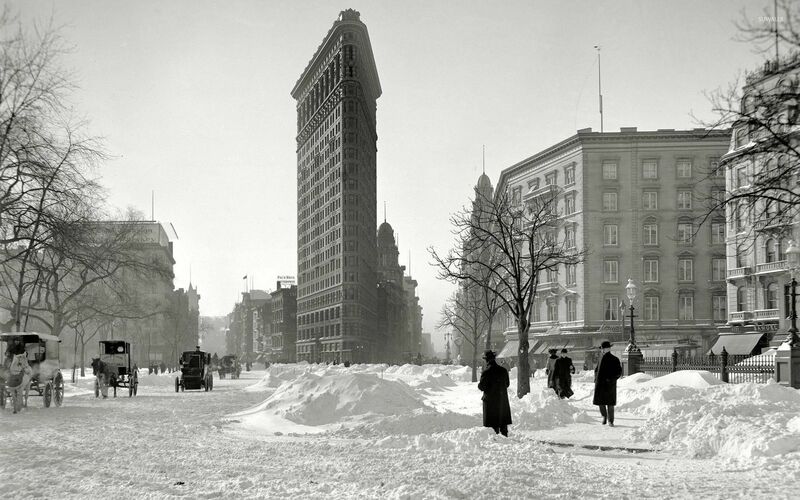 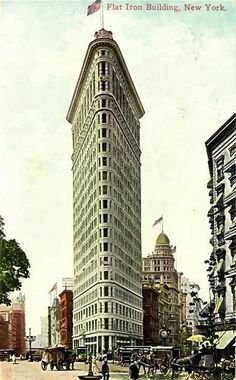 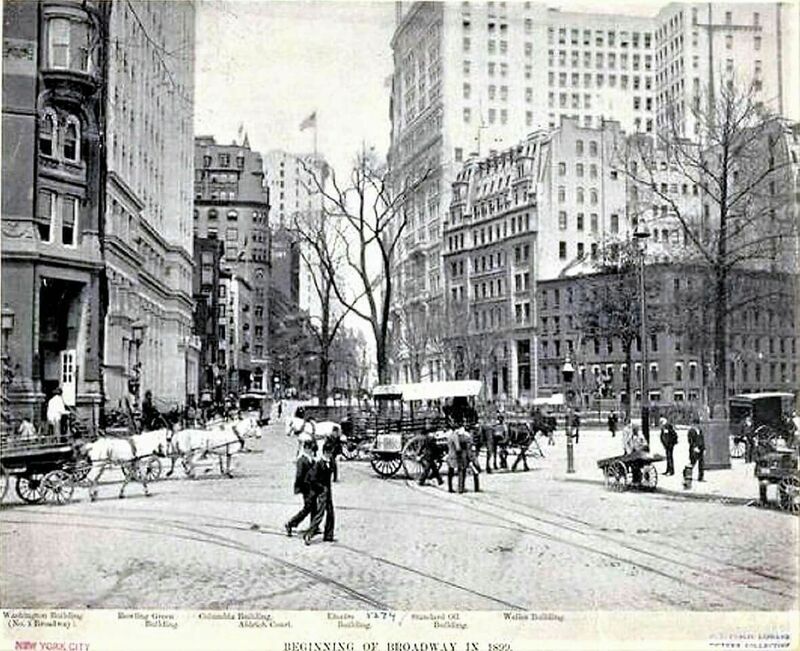 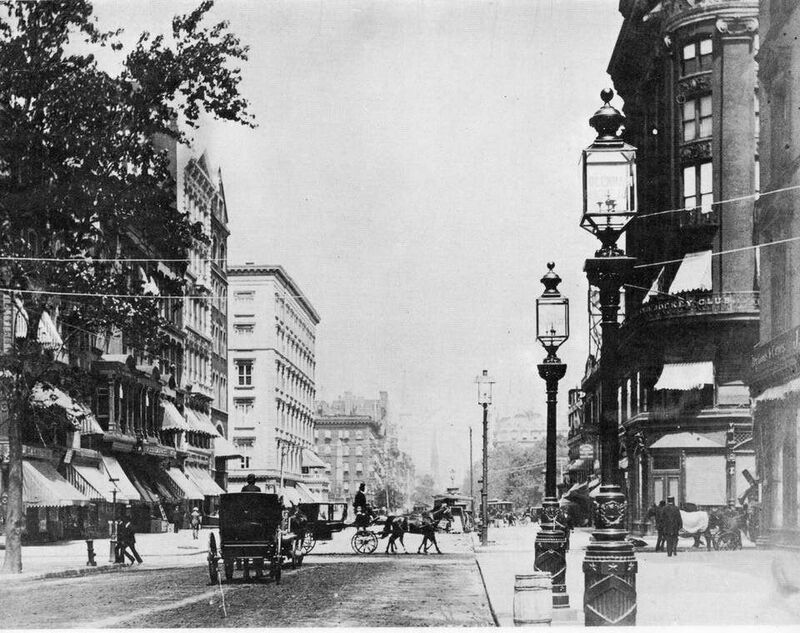 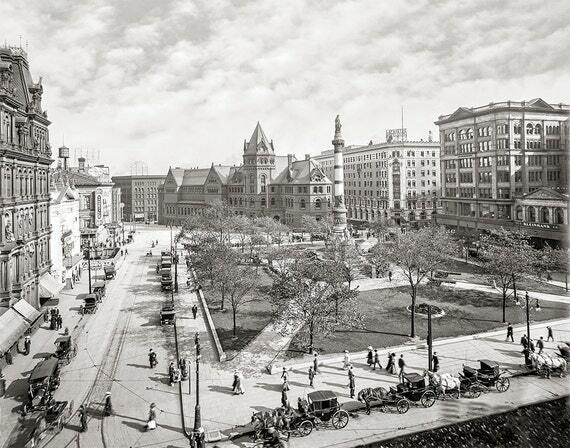 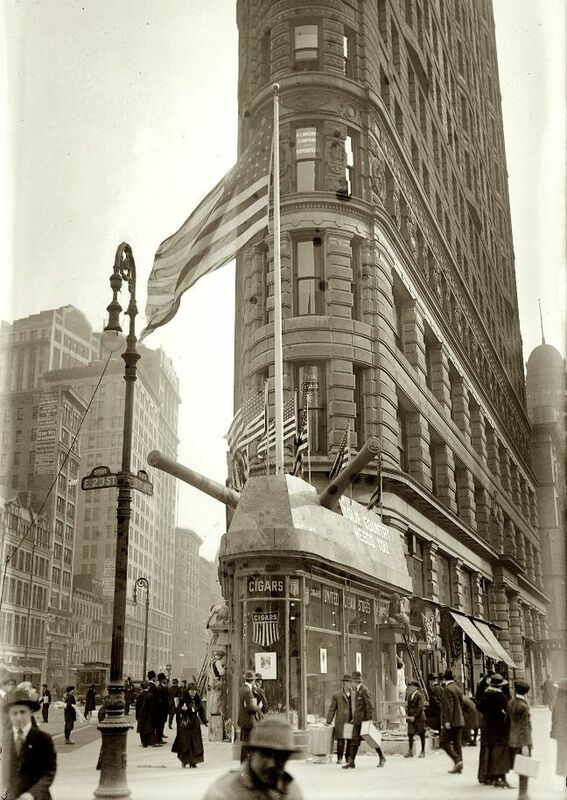 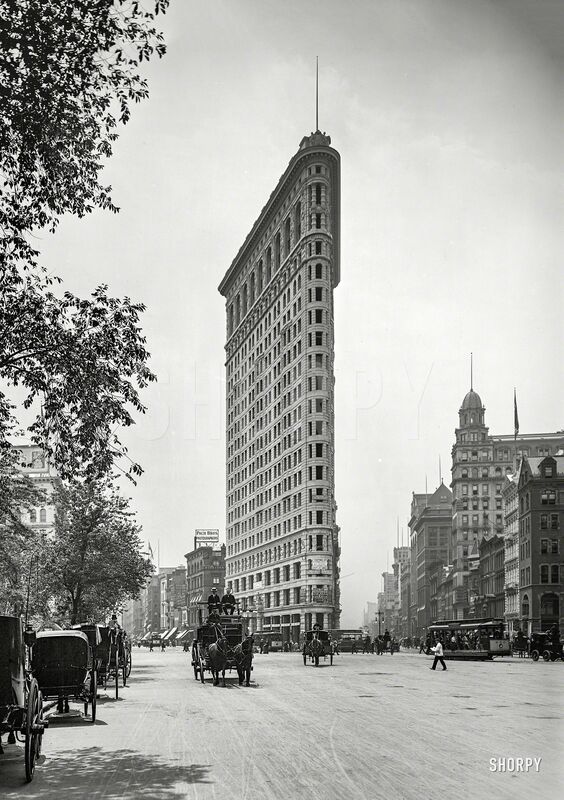 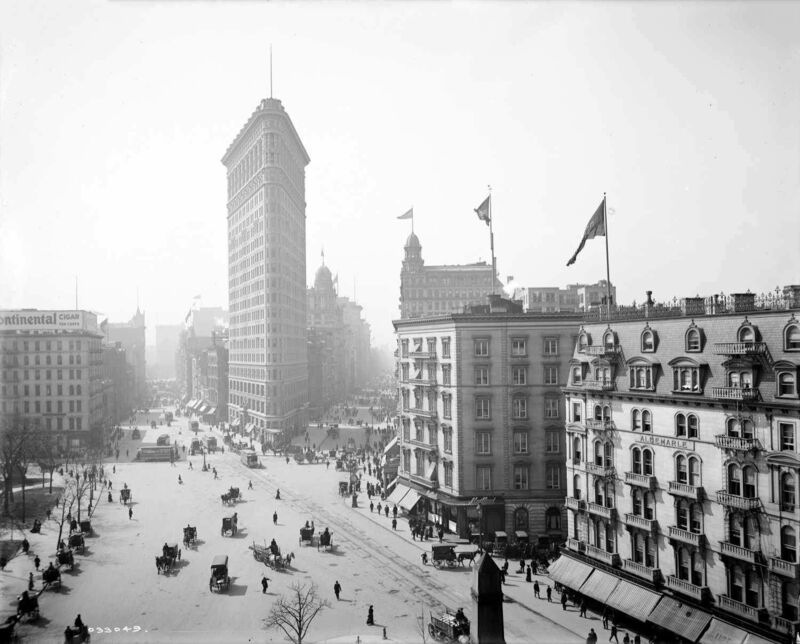 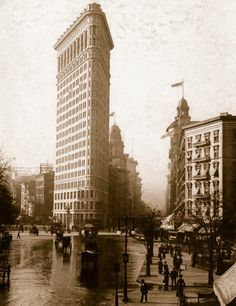 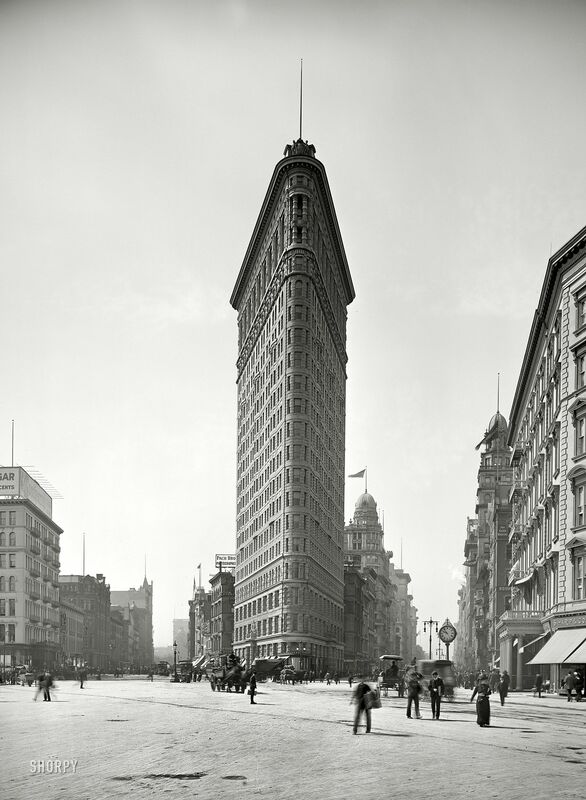 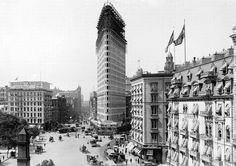 The structures that pre-dated the Flatiron Building, pictured here in 1897. 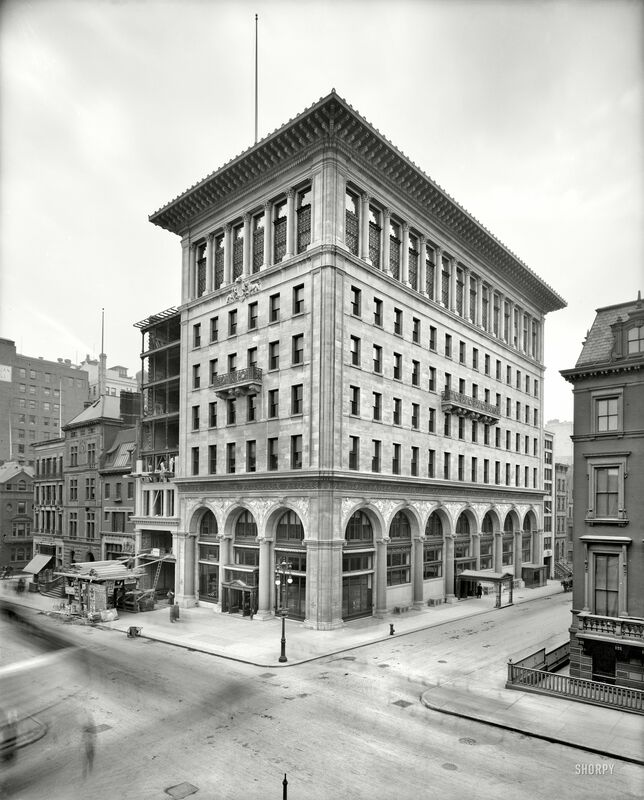 Corner of West Houston Street and Varick Street, New York City, 1890.
new york, fuller building, 1903 after the new york flat iron building, london hampstead corner . 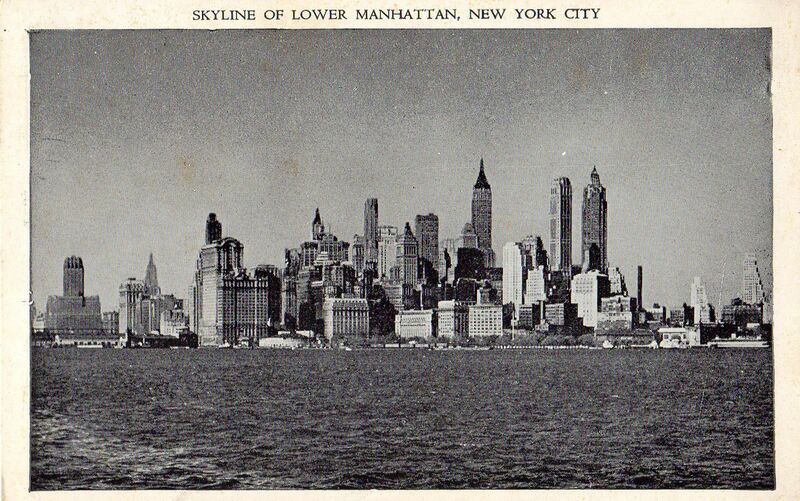 Old New York City skyline of lower manhattan postcard. 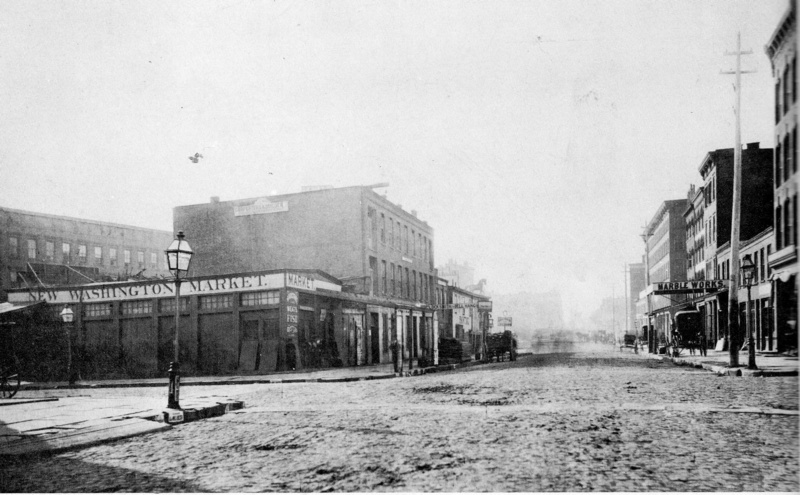 Hagins collection. 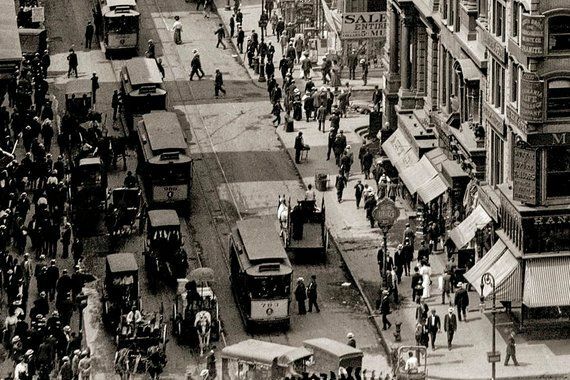 New York circa 1908. 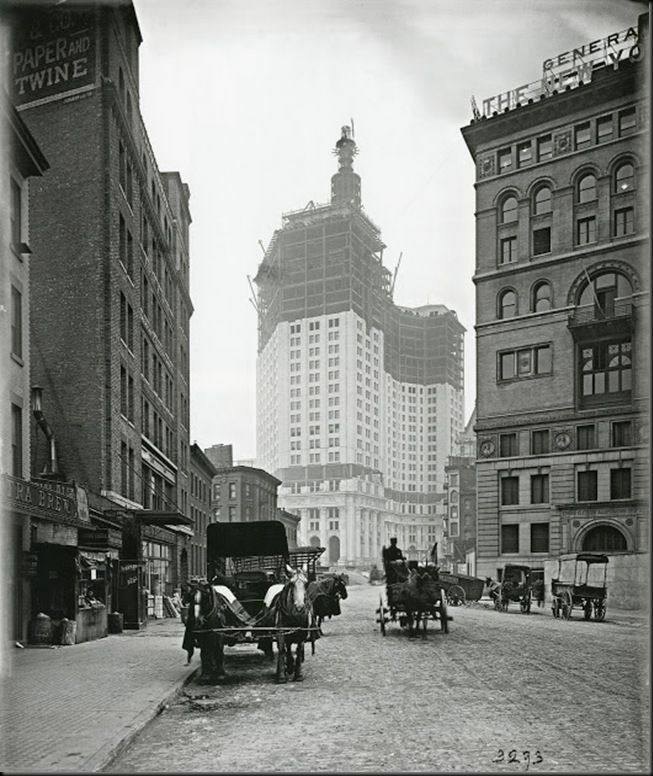 "Cortlandt Street," with the new Singer Building rising in the distance. 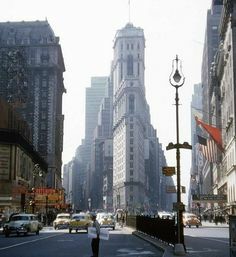 New York, 1961 "Summit Hotel, 51st Street and Lexington Avenue. 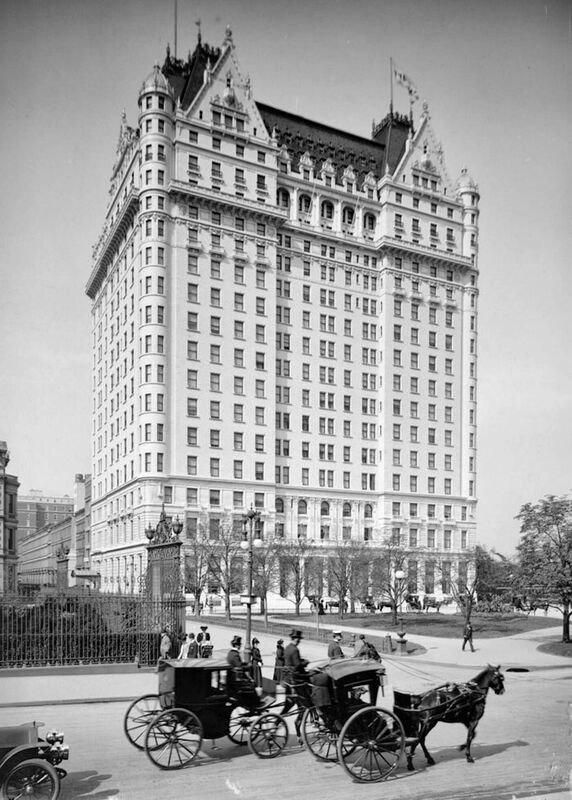 Exterior from northwest. 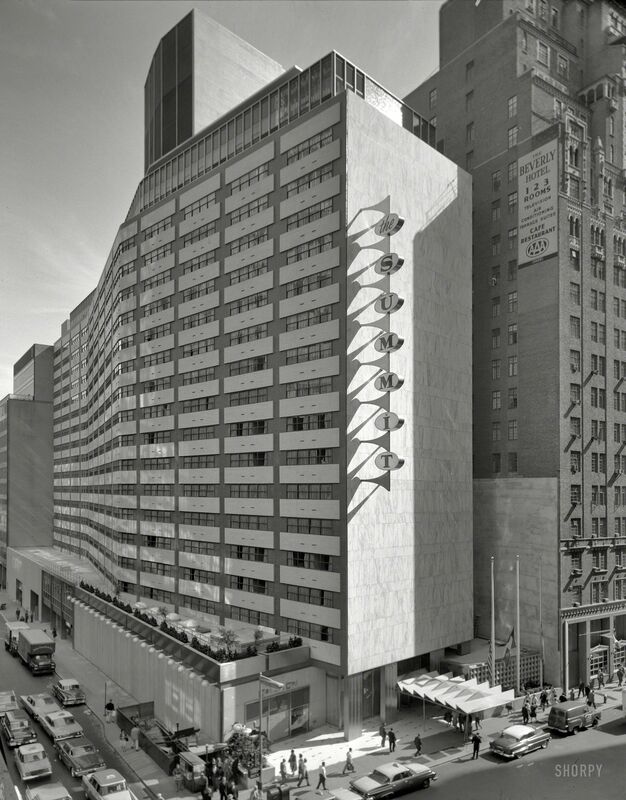 Morris Lapidus, Harle & Liebman, architects. 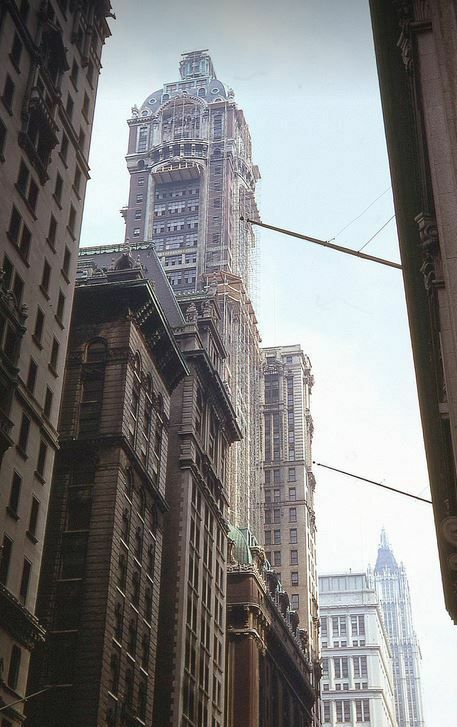 New York City ~ Manhattan | St Paul Building. 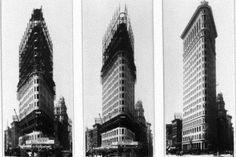 Demolished.